I just a really cool transformer toy, my grandson will love this! 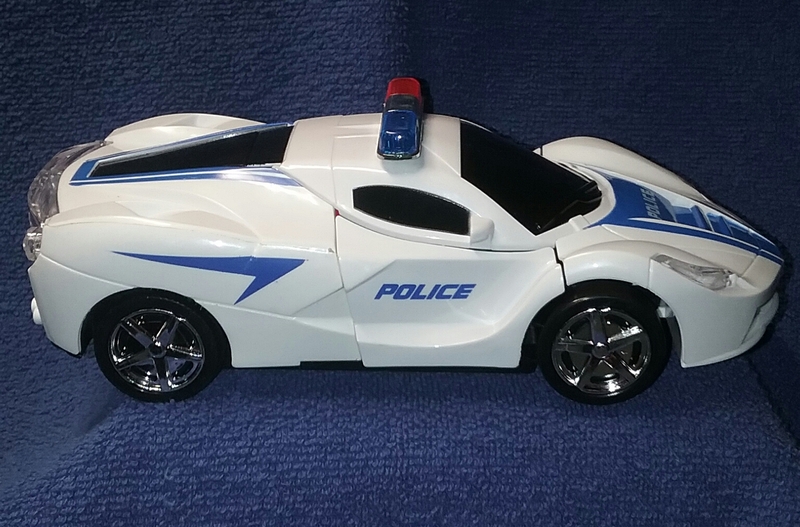 It's the INTEGEAR 2 in 1 Robot Transform Police Toy Car . My grandson is 8 years old and thinks that transformer toys are awesome. This transform toy has flashing LED lights and sound effects. It uses 3 AA batteries that are not included. 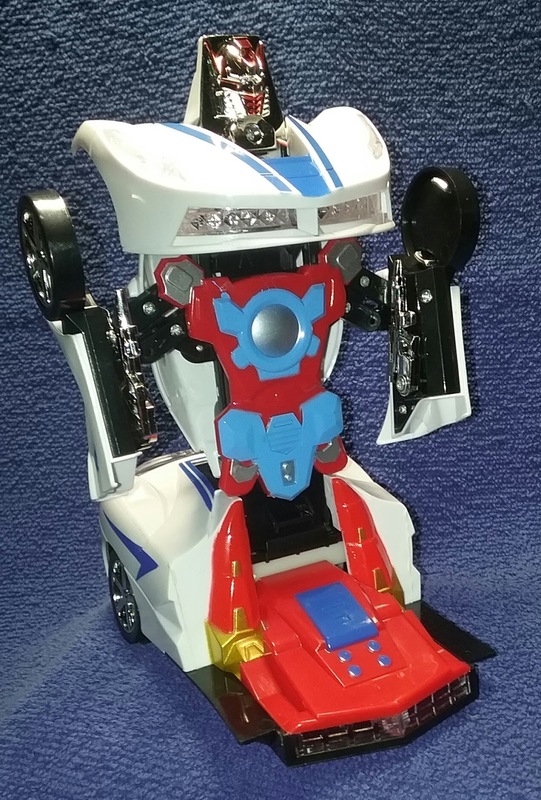 As soon as you install the batteries and turn the switch on the lights start flashing, the siren starts and the police car opens and the front half stands and becomes a robot! What a cool transformation! I've been having fun playing with it, I almost don't want to hand it over to my grandson lol the lights and sounds are more than I thought they would be. Really cool! Now I get to be the cool Grandma with a transformer police car. I really like the bump and go action, the police car automatiacally changes direction if it bumps into an obstacle. I know this transformer police car will see hours and hours of playtime. This transformer toy would make a perfect gift for Christmas, birthday, just about any gift giving occasion. This toy is not suitable for children under 3 years of age.